Not yet published. Ships 11/8/2011. 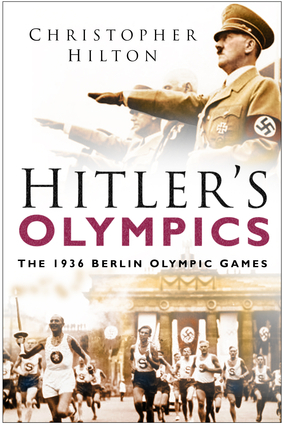 An insightful and engaging look at the events and propaganda surrounding the 1936 Olympic Games in Germany. The Berlin Olympic Games, more than 70 years on, remain the most controversial ever held. This book creates a vivid account of the disputes, the personalities, and the events which made these Games so memorable. Ironically, the choice of Germany as the host nation for the 1936 Olympics was intended to signal its return to the world community after defeat in World War I. In actuality, Hitler intended the Berlin Games to be an advertisement for Germany as he was creating it, and they became one of the largest propaganda exercises in history. Two German Jews competed in the Games while the most memorable achievement was that of black American Jesse Owens, who won four gold medals. Ultimately, however, Germany was the overall biggest medal winner. The popular success of Owens allowed the Nazis to claim that their policies had no racial element and charges of antisemitism that did arise were leveled at the Americans. Christopher Hilton is the author of Hitler's Grand Prix in England, Mayflower, and The Women's War.